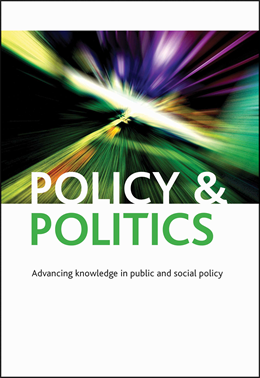 Then along came populism – in multiple guises – in the 21st century which saw the task of governing in very different terms to that of the practitioners of governance. For them, networks and markets take power away from the people and get in the way of its chosen leadership carrying out the will of the people. Right- and left-wing populist movements and parties express variations of these views, as do more mainstream politicians with a populist outlook; whether that’s Trump calling for the “draining of the swamp” or Gove complaining “we have had enough of experts”. Paradigms for governing do not inherently last for ever. More broadly the practitioners of public administration have begun to feel fearful, disoriented and scapegoated. To meet the challenge of populism, public management could travel down several paths. But none is comfortable, straightforward or guaranteed success. Some argue that governance could accommodate populists by letting them run the front-stage of governing whilst keeping a grip over the back stage of implementation, and so steer policy development away from the razzmatazz of populism. Governance is well suited to the backstage practices of using networks between officials to develop and implement practical policies. The message is that while politicians may move on to the populist terrain, officials can still use governance techniques to get things done. Governance can forgo the input side of politics and focus on doing better on the output side. Officials could earn back public respect and trust by sticking to the basics of implementation governance and doing it well. Yet there is no reason to assume that populists when in government will leave the backstage processes of governance alone. When in power, populists want to intervene rather than leave the delivery of government services alone. They are often keen to colonise government positions, seeing it as an opportunity to exercise more personal control over the bureaucracy. They can engage in mass clientelism, offering material or symbolic benefits in return for votes (for example by offering free bus passes for the young or trade sanctions to protect core favoured industries) which means they want to direct policy for political purposes, not leave it to officials. Those looking for a response to populism sometimes call for more education about citizenship and the complexity of policy choices. But that is unlikely to make a difference. Populism does not see the need for the people to be educated; rather, it is assumed that the people have those skills and the good sense to make wise decisions. A recent debate around the rise of measles in Italy and other European countries pitted experts arguing that what was needed was a recommitment to full vaccination programmes (https://www.nytimes.com/2017/05/02/opinion/vaccination-populism-politics-and-measles.html) and populists pointing that their whole point was they trusted people more than experts. As one defender of populism argued: ‘Those who continue to traduce populism as a rejection of experts, even a rejection of the truth itself, are refusing to recognise it for what it really is: a rejection of the political exploitation of expertise. We are not rejecting the truth; we are rejecting their self-styled truth’ (http://www.spiked-online.com/newsite/article/now-theyre-blaming-populism-for-measles/21741#.W5E05LgnaUk). A similar level of doubt could be expressed about another political response to populism: a call for more citizen participation, more democratic innovations or even more referendums. A laudable concern to further democratise networks of governance is unlikely to convince those who sign up to the populist perspective that views the problem as networks, and the other governing mechanisms, because they stand in the way of the direct popular will. The populist argument is for a simple connection between people and a responsive leader, not for a push to make new demands on citizens and added layers of complexity to decision-making. Another common response is to argue that populists win arguments with the public because they appeal to emotions and irrational feelings. One suggestion, therefore, from those advising officialdom in the EU, for example, is to recruit ‘a new army of specialists in mass communications that …downplay the EU’s reliance on evidence-based arguments and go instead for the human dimension. That doesn’t mean abandoning or distorting facts, but to present these through human interest stories (https://www.friendsofeurope.org/publication/how-eu-can-defeat-populism). This argument runs the risk of failing to understand that populism is not irrational but rather anti-technical; it wants values, moral prejudices and self-actualised truths to rule the day. The rejection of the governance paradigm by populists is partly pragmatic (it does not work for me and my interests) but also ethical and moral. Populists fear that current governing practices lead to rule by special interest, corruption, putting profits before people and so on. What is needed is a recognition of the partial truth in that accusation and a greater willingness to reform and place limits on this comfortable form of governing for political and administrative elites. What is also needed is mainstream political leadership that is willing and able to make the moral as well as the practical arguments, in robust debate, for policy choices instead of ducking issues, blaming others and making impossible-to-keep promises. The last few years provides only a slim hope that such leadership will emerge but it might, as it did in the past.